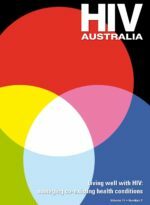 HIV Australia is the flagship publication of the Australian Federation for AIDS Organisations (AFAO). 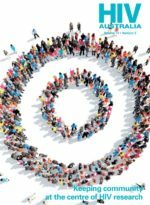 The publication was originally a magazine distributed free of charge, three times per year to over 3,000 subscribers, including community HIV organisations, heath organisations, universities and research centres around Australia. The publication is now available through online databases. The publication is highly regarded and respected as a source of comment, up to date information regarding the community response to HIV in Australia and issues impacting people living with and affected by HIV. Aboriginal and Torres Strait Islander people are advised that some editions of HIV Australia contain images, voices or names of people who have passed away. Find on this page commissioned articles, audio interviews and editorials on HIV, from both a local and global perspective. Four issues including HIV and young people, Managing co-existing health conditions, Respect and resilience: shaping the response to HIV and STIs among Aboriginal and Torres Strait Island communities and ICAAP 11 special edition. 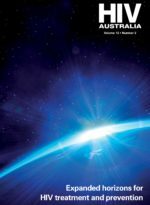 Three issues including Women and HIV: Behind the data, HIV and the social media revolution and HIV in regional, remote and rural Australia. 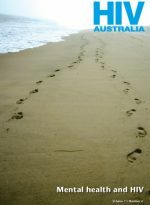 Four issues including The Criminalisation of HIV: Criminal law v public health, Virus in the system: keeping watch on the health of Australia’s prisons, HIV and cultural diversity: the intersection of culture, sexuality and health, and Testing, treatment and prevention in the era of combination prevention. 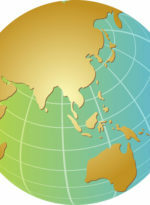 Three issues released covering Dual strategies: managing HIV and hepatitis co-infection, Strengthening capacity: facing up to HIV in Papua New Guinea and HIV and Ageing: a changing epidemic. Four issues released covering Reflections – 25 years of HIV, Leading through partnership: the community response to HIV, Stigma and discrimination and Mental Health and HIV.